Alliant Energy Corp., a utility holding company based in Madison, Wisconsin, “has been quietly nurturing a side business … that is growing by leaps and bounds,” reports the Wisconsin State Journal. WindConnect gets involved in measuring wind speeds, designing projects and assessing their environmental impact, along with meeting with land owners, contracting with construction crews and building access roads, said Frank Greb, WindConnect vice president and general manager. “When the business started in 1999, the primary focus was building substations and helping developers connect their wind facilities to the electric grid; therein, the WindConnect name. We have grown way beyond that, ” Greb said. 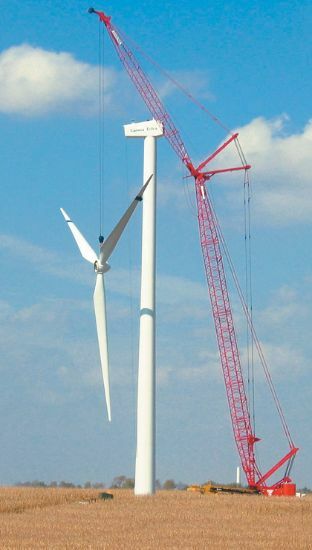 WindConnect, actually a subsidiary of Alliant’s RMT subsidiary, has been involved in more than 30 wind-power projects around the United States, including projects in New York, California, Washington, New Mexico and Wisconsin – the company claims it has been involved with . WindConnect earned revenues of $44 million in 2005, $64 million in 2006, and expects to top $150 million this year. Overall, Alliant reported $3.4 billion in total revenue in 2006. The story isn’t all good. Alliant is currently planning to build a new coal-fired power plant. The company is publicly traded on the NYSE, stock symbol LNT.